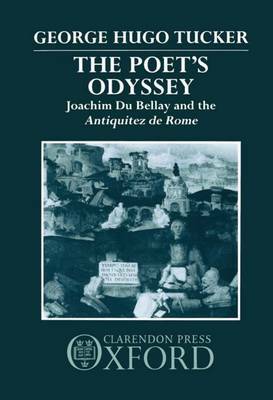 The Poet's Odyssey traces the artistic development of one of the major poets of the French Renaissance, Joachim Du Bellay (?1522-60), showing how he differed from his contemporaries (in particular his great rival Ronsard) and the importance of his move to Rome in 1553. In this unique study of Du Bellay and his Antiquitez de Rome, Dr Tucker makes this complex sonnet sequence more accessible to the modern reader, highlighting its rich intertextual framework in Classical, neo-Latin and vernacular literature. He also redresses a critical imbalance. Du Bellay and his immediate contemporaries identified the Antiquitez, rather than the Regrets, as his major work. Tucker demonstrates its central importance within the poet's production, and further situates it within a whole tradition of reflection upon Rome and her destiny from Classical times onwards. The Antiquitez are also seen to represent the ultimate step in the development of a poetic style and sensibility in diametric opposition to Ronsard's. Finally, Dr Tucker also relates the collection to the literary and scholarly context of Du Bellay's Rome.